I'm on the team of NEPA BlogCon, a blogger and social media conference that will be September 29 here in the 570. It's my week on the editorial calendar to post so I came up with10 tips to attract new readers and keep them coming back- because that's what bloggers want, new readers that return again and again. After posting it over at the NEPA BlogCon site, I thought about how the tips apply to job seekers, those in career transition, college students preparing to launch a career, and professionals looking to position themselves as top candidates and subject matter experts, and how they are a perfect fit right here on this human capital & new media blog. If you don't yet have your own blog, head on over to Lifehacker to check out the advice they gave to Bewildered Blogger about which blogging platform to useand then launch one! Sit down over a cup of coffee with a blogger and the conversation oftenturns to talk about how to attract more readers and keep them coming back. After all, we work hard to carefully craft the look, feel and tone of our blogs, produce quality content, and engage our loyal readers but we are rarely satisfied with the traffic. Competition for readers in the blogosphere is in the several millions.Having the philosophy of publish it and they will come can result in extreme disappointment regardless of how good the writing is. Whether you blog for catharsis, have ideas, photos or recipes you want to share with others, blog professional advice, or want to attract business or high quality candidates (or for one or more of a bajillion other reasons) in addition to quality content, the key to new readers is triangular; search engines, the blogoshere and social media. With that in mind, here are ten tips to attract new readers to your blog. They are not difficult to implement, and you can select a few to try at first and then work on implementing more with time. You dont have to dive in and try to do them all at once. Of course, if you are bloggingsolelyfor yourself and are not interested in the least in how many people find yourdelectablemasterpieces, then mozy along now. nothing to see here all you really need is a private online diary likePenzu. Keep it fresh. Search engines love fresh content and your readers will too. 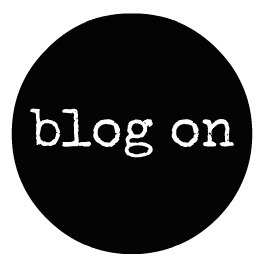 Even if you have a themed or topical blog, going on and on about the same thing is BORING. Blog off topic once in awhile to add some spice. Invite occasional guest bloggers they will bring their followers. Guest blog for others. Having your post on someone elses blog increases the chance their readers will click on the link to your blog to see more of what you offer. Publishing in other spaces also helps your reputation as a subject matter expert if you blog on technical topics. I occasionally invite new bloggers to guest post on my blog if I like their content I believe in helping others get established. They dont bring me new readers but my readers get exposed to their work. Learn about basic Search Engine Optimization (SEO). Check out Hubspots Free Guide:Introduction to Search Engine Optimization. Dont worry that it talks about business if you are not a business blogger just take the lessons and apply them. Read other blogs and leave comments. Its not enough to read leave comments. Even if its one sentence, leave your footprint and link. Chances are, someone will click on it even if its just out of curiosity. Blog a series of posts not a novel. Two years ago,viperchill.comdid some research into how long the most read posts are. The average turned out to be 1,100 words. Need to keep going? Break an epic post into more than one part, add cliffhanger and voil you have built in return readers for the wrap up. Even if you write the whole thing in one fell swoop, split it up into 800-1000 word episodes (or even shorter) scheduled to publish on consecutive days or at regular intervals that mirror your posting frequency. Brand and be social. Get a domain name for ten bucks and point it to your blog (or go for the whole hosting thing, it has many advantages). Use the name of your blog as a Twitter handle and create a Facebook Fan Page for it. If your blog content is relevant to your career or job search, post the entries to your LinkedIn status update and or appropriate groups. The idea is to expose people from your various networks to your blog. If you send a lot of email add your blog domain name to your email signature. Be sure to add your blog to your Google profile (and all your profiles) so it is always associated with you. This list is not meant to be comprehensive. There are no hard and fast rules for blogging, just trends and best practices to accomplish goals many bloggers have. I would love to hear your top idea for attracting readers to your blog, in the comments. For conversation on this and other topics of interest to bloggers of all types and levels of experience, be sure to register for NEPA BlogCon, to be held Saturday, September 29 at Luzerne County Community College, Nanticoke, PA. Grab an earlybird ticket now they wont last for long! Note: If you are in the tri-state area, want to jump on a plane or do a road trip - I would love to meet you or see you again at NEPA BlogCon! Social media is a networking website,The best way to approach is email marketing, where you have a huge database of prospects, using some tool you will send the proposal. the person who is looking for it will get back to you. the second best option is classifieds posting.Thanks for sharing the useful information.